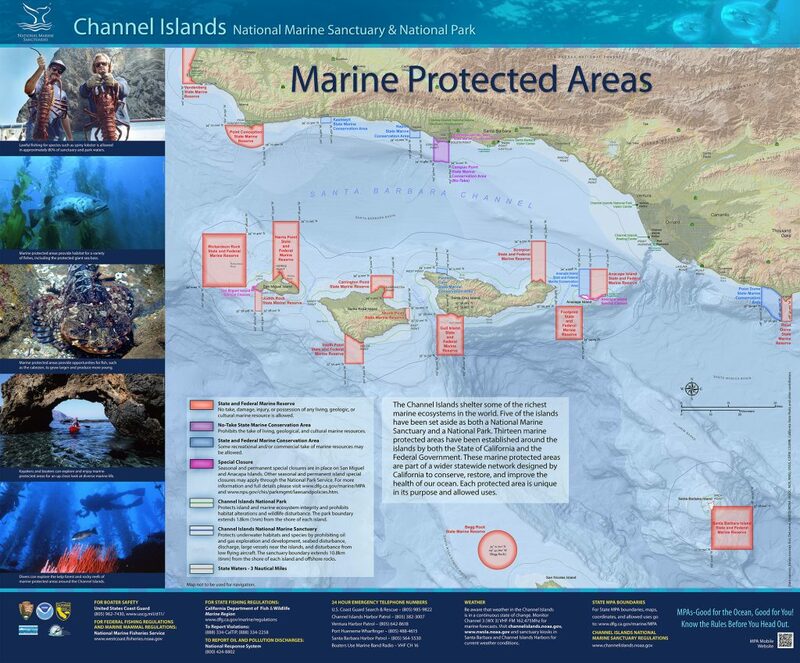 No net or trap may be used in waters less than 20 ft. deep off the Anacapa Islands, commonly referred to as Anacapa Island. A brown pelican fledgling area is designated from the mean high tide mark seaward to a water depth of 20 fathoms (120 feet) on the north side of West Anacapa Island between a line extending 000° True off Portuguese Rock (34° 00.91’N. lat. 119° 25.26’W. long.) 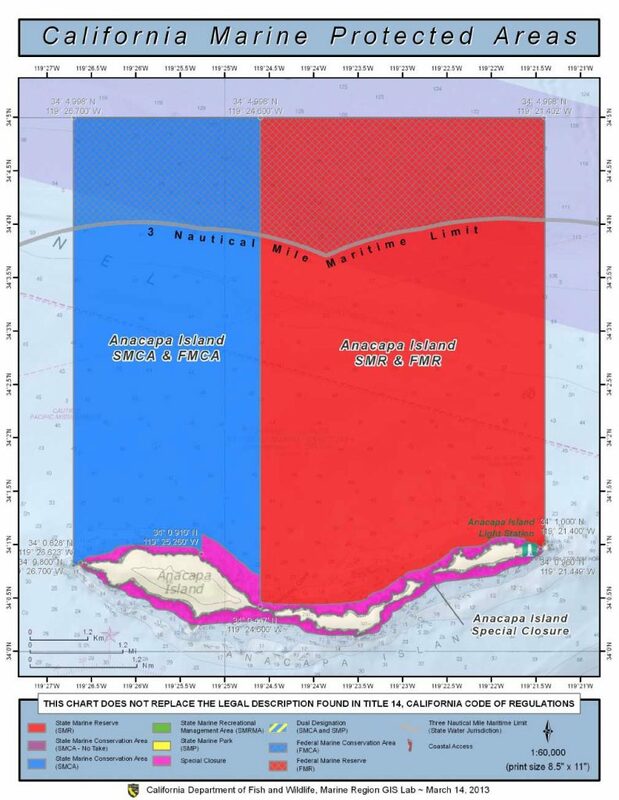 to a line extending 000° True off the western edge of Frenchy’s Cove (34° 00.417’N. lat. 119° 24.600’W. long. ), a distance of approximately 4,000 feet. No person except department employees or employees of the National Park Service in the performance of their official duties shall enter the brown pelican fledgling area from January 1 to October 31.